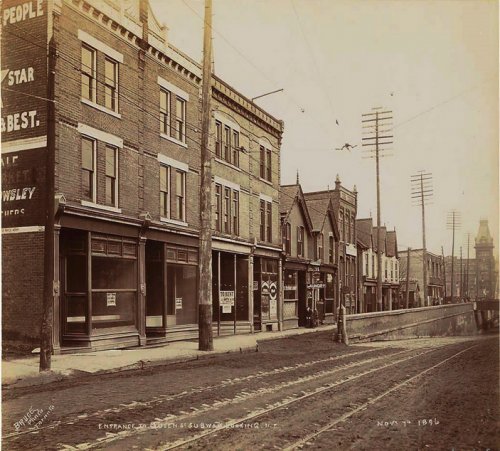 Queen Street West at Gwynne Ave, 1896. Sunnyside Historical Society. Public meetings and community advisory group meetings are listed below. Material presented at the meetings, including display boards, presentations and meeting summaries, can be requested from Sharon Hong, Heritage Planner at Sharon.Hong@toronto.ca.